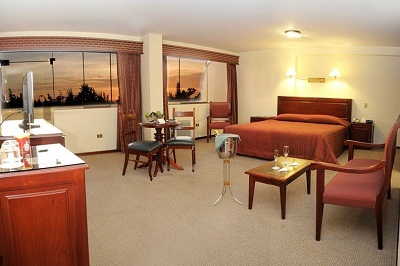 Arequipa city is located in the South Andean zone of Peru, 7,660 feet / 2,335 m.a.s.l. (Arequipa's Map). 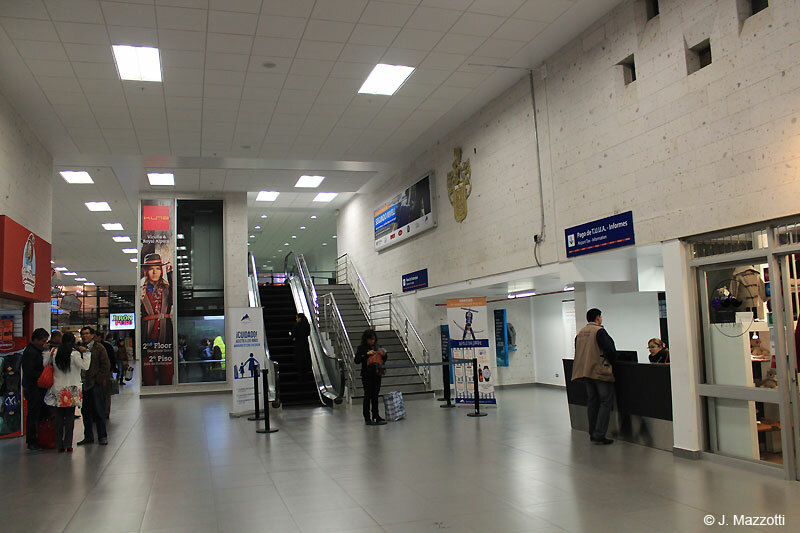 Arequipa is easily accessible by air; commercial flights leave daily from Lima, Cusco, Juliaca (Puno - Titicaca Lake), Tacna or bus transportation from Lima and the main cities of south of Peru, also coach tours to Arequipa from Colca Valley, Puno and Cusco. 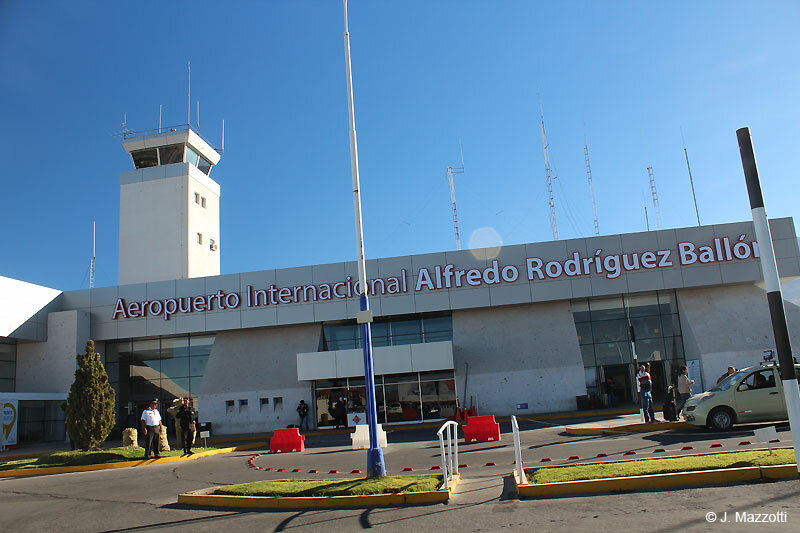 Arequipa city is easily accessible by air; the Arequipa's International Airport Alférez Alfredo Rodríguez Ballón (AQP airport code), with comfortable installations, receive commercial flights leave daily from Lima, Cusco and Juliaca (Puno - Titicaca Lake). 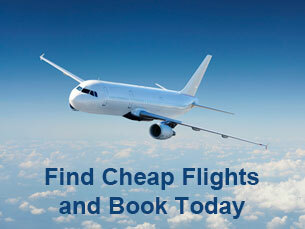 Also international flights from La Paz, Bolivia. 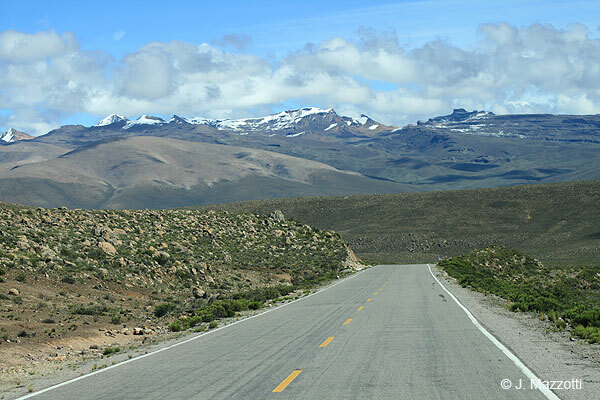 Another important route is the 34C connecting Arequipa with major southern Andean cities, as Puno, Juliaca and Cusco. Highway Cusco / Arequipa: Passing through Juliaca (34C-3S), 625 Km. (388 miles). The traditional excursion to Colca Valley and Colca Canyon is by bus, from Arequipa to Chivay, then you can continue to Puno and Lake Titicaca in a diurnal tourist bus with stops along the way where they offer guided tours on several places between Colca and Puno, and offering an experience of single trip. Coach Tours: For routes from Arequipa to Puno and Puno to Chivay (Colca Valley) we offer special bus services with stopovers on route and guided tours - daily departures.